Relocate Critters With Duke Live Animal Traps. Is the cold weather bringing wildlife and unwanted critters a little too close for comfort? Live animal traps are the most humane option for removing unwanted animals from an environment. J&N Feed and Seed offers a full line of Duke Traps. Depending on the critter you need to trap, we’ve got the live trap for you. 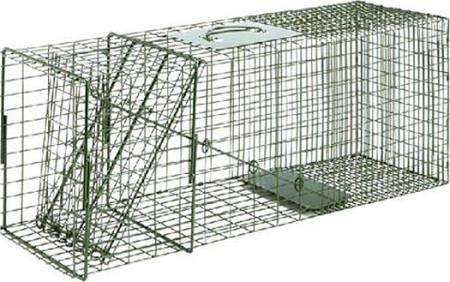 Duke Standard and Heavy Duty Cage Traps offer the ultimate variety in Humane Live Catch Cage Traps today. The Standard Cage Traps feature steel rod reinforced Spring Loaded Doors, pressure sensitive trip mechanisms and a durable, concealable green powder coated finish. Not sure what to use as bait in your Duke Trap? Canned or dry pet food works very well for trapping bait for raccoon, rats, opossums, skunks, feral cats and dogs. Rabbits and squirrels are vegetarian so meat based baits are not effective. Squirrels respond well to dried corn and nuts. Commercial trapping baits are available for most animals. This entry was posted on Wednesday, January 13th, 2016 at 4:10 pm	and is filed under News & Updates. You can follow any responses to this entry through the RSS 2.0 feed. Both comments and pings are currently closed.